What’s that? A tired ol traffic light pole? 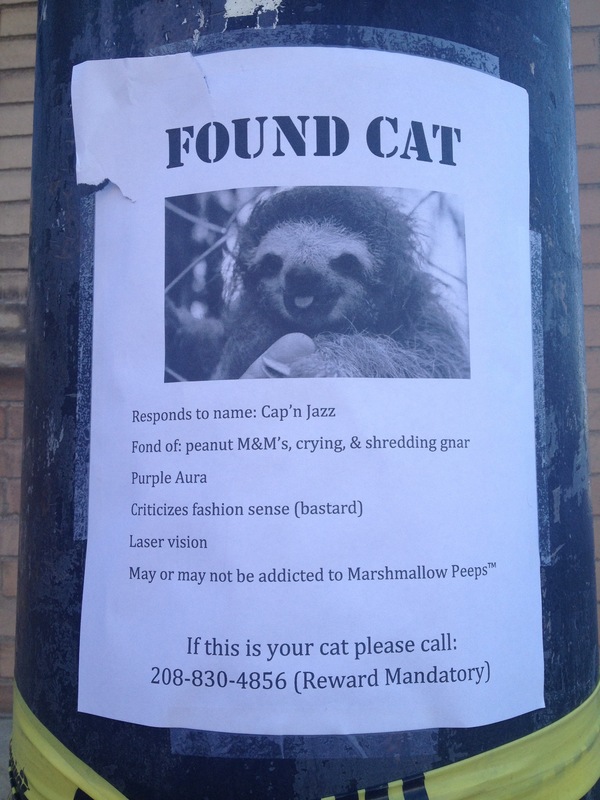 Well let me put a sloth flyer on it to make a random passerby giggle. Too funny! Boise is a one in a million kinda place. I know this is an old post, but I just discovered you through knowidaho.wordpress.com. Great read!